So, when a commenter asked a while back for some more smoothie recipes because she is just getting into smoothies, it gave me pause. I had this crazy vision of being a roaming “smoothie fixer,” whereby I come to your house and help you solve all your smoothie woes. Wouldn’t that be fun? 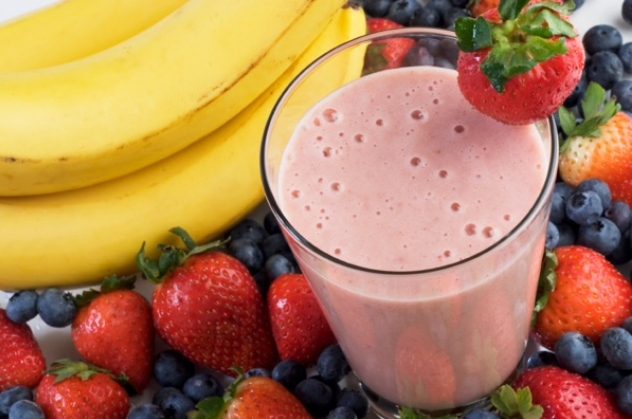 Back in reality land, while I’d love to, I can’t go to everyone’s kitchen and walk through making a smoothie (unless Food Network deems it a worthy show idea – hmmmm…), but, I can provide a smoothie formula that I know will provide great results. I think a formula is a great way to go because there are a gazillion different ways you could make a smoothie. You likely know what you like, and maybe just need a little direction on how to put together the flavors you want in a smoothie that will be palatable. Here is the order I add ingredients and a little more method behind the madness. Liquid – 1 cup is my standard amount. I generally use dairy alternatives like rice milk, coconut milk, almond milk, or even coconut water. You may want to use dairy milk, or even juice (but I really don’t recommend juice unless you made it yourself – so much sugar!). One cup of liquid is a good guidepost, but as you begin to blend, you may need to add a little more. I have never needed less! Optional greens – If you really want to maximize your smoothie, throw in some greens or greens powder like Amazing Grass Amazing Greens. You won’t notice them (aside from the color) and they really up the nutrition value with basically no calorie burden. 2 handfuls of spinach, kale, collards, chard, or any green of your choice will do. If you are adding greens, I recommend adding them after the liquid, and blending to combine before adding other ingredients. This is simply a space-saving technique, especially if you are using a single-serve cup, as greens blend small but take up lots of room before they are blended. Base – If you’re just starting out, frozen fruit is the easiest, most reliable base, but it’s not the only option – read on to find out other options. For a standard smoothie, 3/4-1 cup of any soft fruit (that is now frozen) will work: Berries, mango, pineapple, peaches, a small frozen banana, you get the idea. 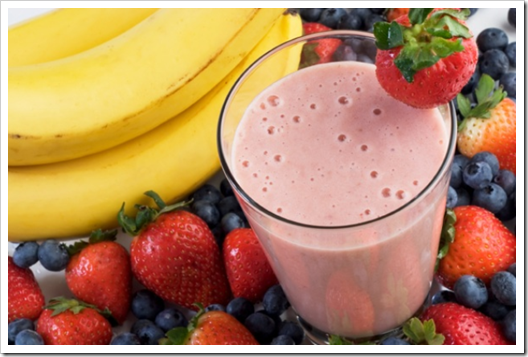 You can even mix and match them – 1/2 cup of strawberries with 1/2 a frozen banana, for instance, is a winning combo! 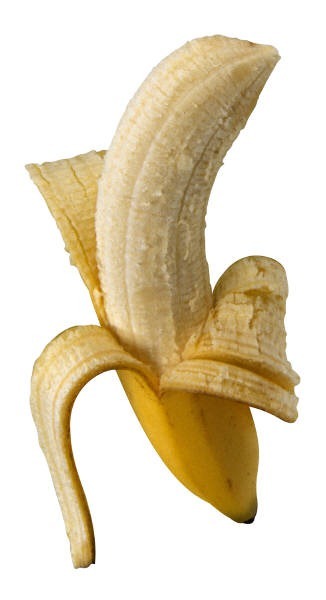 Things that would not be as good: Crunchy or fibrous fruits like apples, grapes, or oranges. You will probably not get them as smooth as you’d like and they won’t create the creamy base most people are going for. If you get more adventurous, try frozen winter squash or sweet potato (cubed). They can be incredibly good and creamy. I have even made a good smoothie using white beans as the base! If you don’t have frozen fruit, never fear! I prefer frozen fruit because it blends so smoothly, but if you don’t have any, ripe fresh fruit will work just fine. You’ll just want to add a handful of ice to make your smoothie cold. Protein – 1 scoop of your favorite powder (look for one with less than 5g sugar per serving), or, 1/2 cup unflavored Greek yogurt. 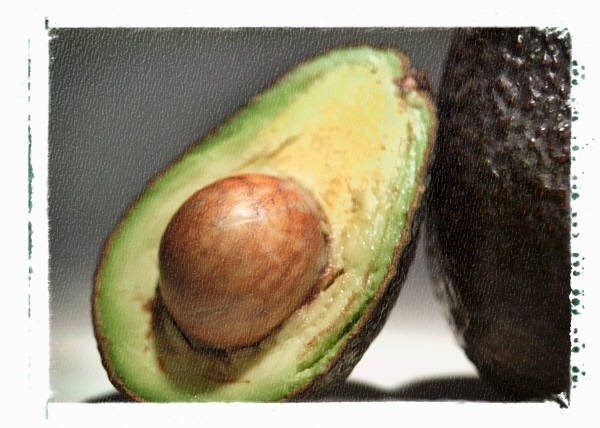 Healthy Fats – If you didn’t use a liquid with fat in it, add 1 tablespoon of nut butter or coconut oil, 1/2 an avocado, or 1-2 tablespoons of seeds like chia, sunflower, or ground flax. Even if you did use a liquid with fat in it, adding one of these items really can bump up the nutrition value of your smoothie. 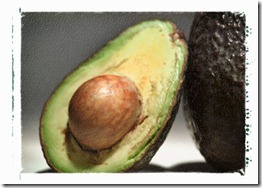 We’re not going for fat for fat’s sake here – it needs to be from the healthy, monounsaturated family, okay? Optional sweetener – If you need sweet to get through a smoothie and a single fruit is not enough, try to do it as naturally as possible and start small with just one teaspoon of something like honey, a sprinkle of Stevia, or, additional fresh fruit like a whole kiwi or small ripe pear. Steer clear of artificial sweeteners like Splenda (which metabolizes as chlorine in your body), or fake “healthy” sugars. There you have it: Add to your blender, pulse to start combining, and blend until smooth. If you have a hard time blending, you may need more liquid. When adding liquid, do so in small quantities. You can go from not enough to way too much in no time! Was this helpful? Do you have a different formula? Let us know! Thanks for breaking it down. I do have a question about what you wrote about Splenda. What do you mean by, ” it metabolizes as chlorine in your body”? I sort of oversimplified that statement a bit. Splenda (AKA sucralose) is kind of a crazy chemical. In the process of making sucralose, three chlorine molecules are added to a sucrose (sugar) molecule. Your body cannot properly metabolize Splenda, so I really should have written that Splenda is a harmful chemical created in a lab that stores itself in your body fat and hangs around for a long, long time. Here is a good article that talks about this better than I ever could! As a general rule, I try to steer as clear as possible away from artificial sweeteners. Because they are chemicals, they foster a need for real sugar, giving us a worse sweet tooth than if we had just eaten something with “real” sugar in the first place. Hope that helps! Thanks! I just started making smoothies and wasn’t sure of the best combinations. Mine have been too thick so far. Awesome, Anne! So glad it helped and here’s to lots more tasty smoothies! Thanks for the great smoothie info. I’ve been looking for a protein powder for my daughter’s smoothies. She is an athlete and her coach wants her to add protein drinks to her diet. When I read the back of the containers they seem filled with chemicals. We tend to eat natural, wholesome foods and finding a protein powder inline with our current food standards seems impossible. Any suggestions of what brand I can check out? Yes, you’re right, a lot of protein powders are packed with junk, especially those that are easy to come by at most stores. I typically buy my powders either via Amazon or at Whole Foods. The healthier ones are perhaps not the “tastiest,” but I really believe they are the best way to go. Thanks for pointing me in the right direction. Now I know where to start…let the taste test begin! I’ve been using JJ Virgin, The Virgin Diet, protein shake, vanilla. It is based on rice, not dairy or whey. It’s easy to use with any combination. It is so expensive to try to find a brand/taste you like. I’m staying with JJ Virgin’s. These products are made by Thorne Research. Thanks for the Splenda info too! Diabetics(my hubby) have been pointed to Splenda. Funny, my daughter told me it killed ants. Just beginning with smoothies, and really needed the help…thanks! Glad to help, Rosalind! Happy blending! And, your daughter is right about Splenda. My dad used to eat it all the time because he thought it was “healthy,” but it truly is not. Unfortunately, it’s a matter of weeding through the hype to get to the truth on the artificial sweetener front! Hi Kim, you could do either, as long as you have enough liquid to get everything going. I don’t typically add ice in the single serve due to limited space – I usually go with frozen fruit instead to make the most of the smaller volume…. I always add handfuls of other fruit too. Usually whatever is on sale atm at the grocery. If its berries i buy a whole lot and freeze the heck out of them. I do the same with the fresh pineapples. Ive recently discovered that adding half a lemon and half an orange (just the squeezed juice) is awesomness! Thanks to your site Im going to try to add some protein powder now since I hadnt ever really thought to add it before. Any recommendations on protein powders to try? Thanks for your note and recipe – that sounds great and is super healthy. And, you’re totally right. The freezer is your friend, especially when making smoothies and fresh isn’t important. Here are are my thoughts on the Oriya: http://testkitchentuesday.com/2013/02/25/new-find-oriya-organics-protein-powder/. Hope that helps, and glad to hear you are liking your smoothies! I have a rather dumb question about smoothies. I’m guessing that many people drink them in lieu of breakfast, but if one uses protein powder, can they replace other meals? Not at all a dumb question! I use smoothies all the time for other meals, especially if I’m in a hurry or don’t want to wash a lot of dishes (we don’t have a dishwasher). Just make sure you get enough calories for your needs, and you’re good to go!